Summer is coming folks, I can feel it. Or at least I’m being really gung-ho about the idea of summer coming. Either way, it’s almost time to pull out some hippie headbands for music festivals, trips to the beach, and leisurely bike rides! I stopped by the regular Urban Outfitters, Anthropologie, etc and gawked at the horrendous prices they tried to charge for a slip of fabric used to tie your hair back. Instead, I made some of my own for next to nothing with leftover fabrics! 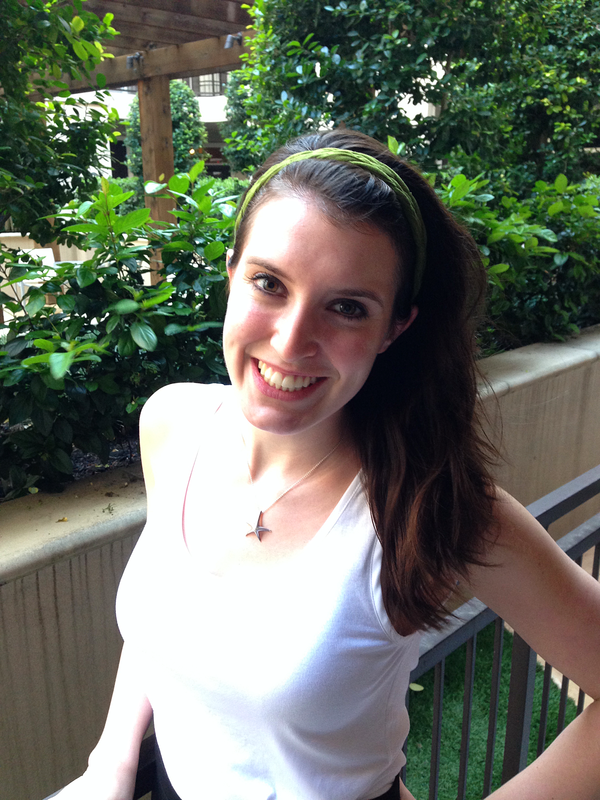 Here are some tutorials for my favorite hippie headbands, no sewing machine necessary! Grab some cotton fabric with spandex in it so it has some good stretch. Cut 5 strips about 1″ wide by 24″ long. Tape the 5 strips to a table at one end and follow the braiding pattern above. It’s essentially making a braid with the left three pieces and then making a braid with the right three and repeating. 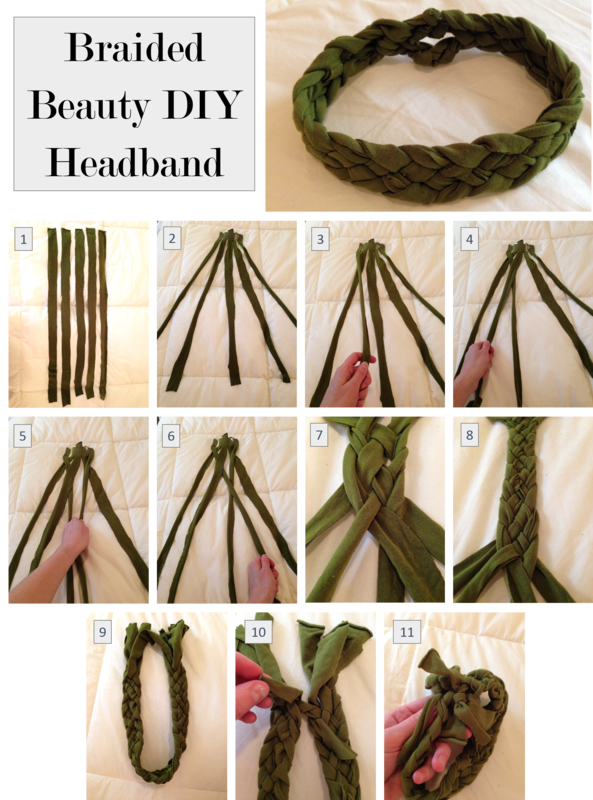 Bring the ends together by tying each piece to one of the others at the opposite end of the headband. Make sure they are pulled tightly. Cut the extra fabric off, throw it on and get down to the pool! 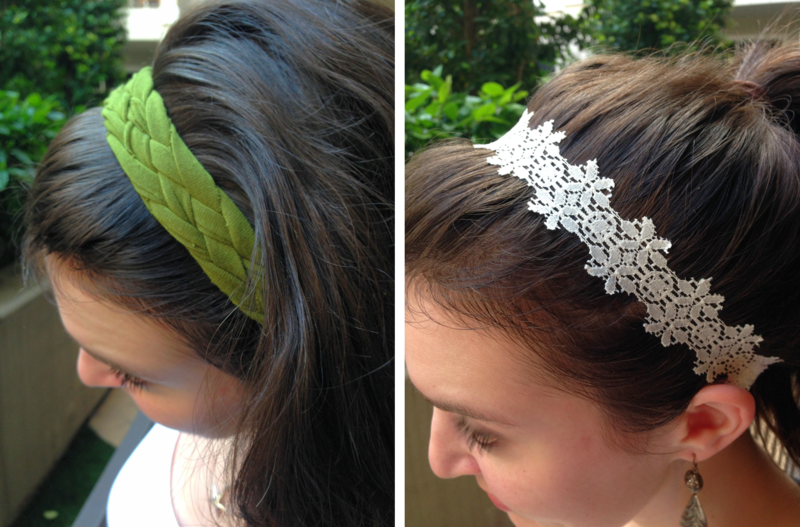 Find a piece of lace with a pattern that can be cut in a linear fashion. The lace I used has a very linear repeating pattern which made it easy to create a headband out of. Cut a piece of the fabric about 14″ long. Carefully cut around one section of the linear lace pattern to get some pretty edges of the lace showing. 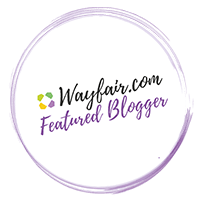 (A 14″ long piece of lace ribbon also works!) Cut a piece of white elastic about 8″ long. 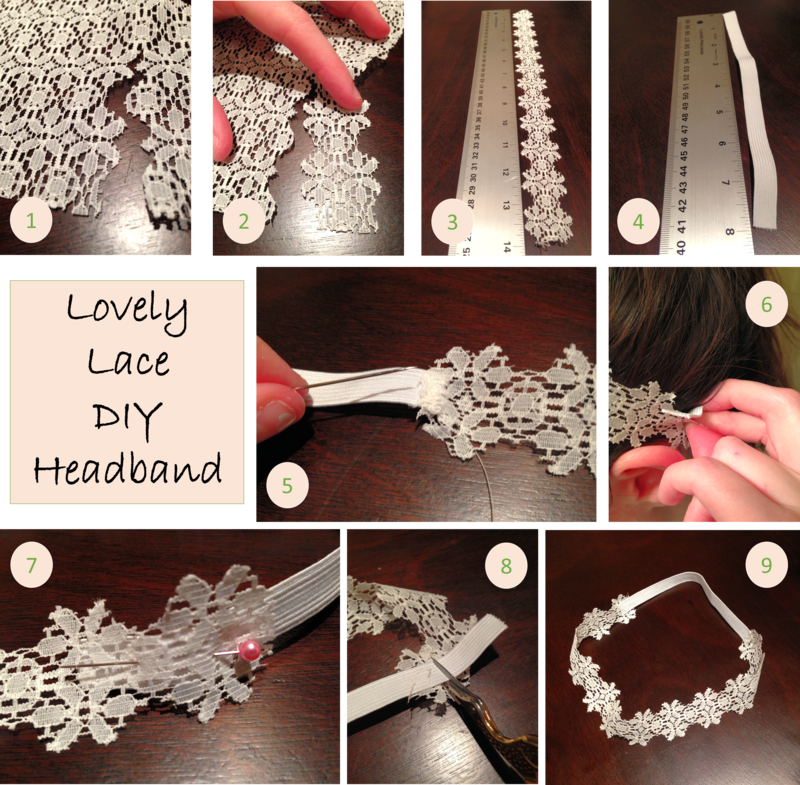 Sew the elastic to one end of your 14″ lace piece. Make sure to sew through the elastic and the lace, going back and forth along the width of the elastic a few times.Wrap the lace and elastic around your head and stretch the elastic until it feels snug. Pin the lace to the elastic at this point and remove from your head. Sew up the second end of the elastic and you’re done! That’s a great idea! Perfect for kids. These are really clever AND cute! Thanks! I just couldn’t turn down a good, cheap find even though they didn’t fit! Cute idea for Spring Break too!